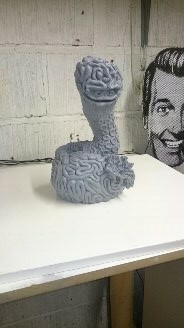 The Video Deck: Brain Damage: Creating "Elmer"
During the production of our Brain Damage release we had the pleasure of being introduced to sculpture extraordinaire Noel Kellett! 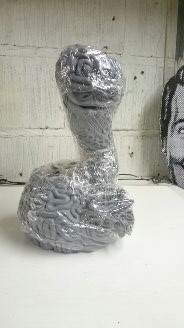 After seeing his incredible Elmer statues we couldn't pass up the opportunity to commission a few for ourselves. You can check out and purchase Noel's excellent creations here! 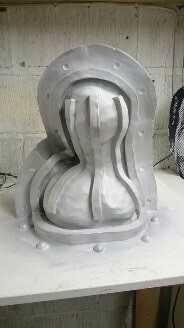 2 part silicone mould is cleaned and ready to cast out !